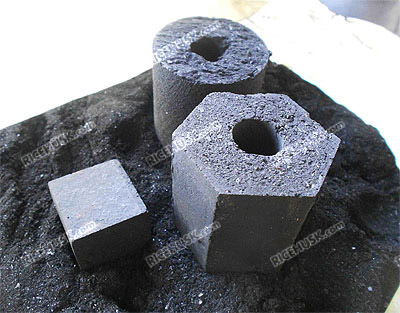 Coconut charcoal - riceshuk.com Pte Ltd.
Coconut charcoal - now available! The premium alternative to wood charcoal that has the same excellent BBQ qualities as hardwood charcoals. BBQ and shisha pipe formats. Lower ash and no smoke compared to wood. Limited quantity of super premium 'Kings' quality shisha available! This shisha is made from ultra fine coconut powder. The shape of the shisha cube is extremely defined and burning time is 35% longer. Ash level is extremely low and fine like talcum powder. Supplied to Royal families in the Middle East. Contact us for Coconut charcoal details & pricing.